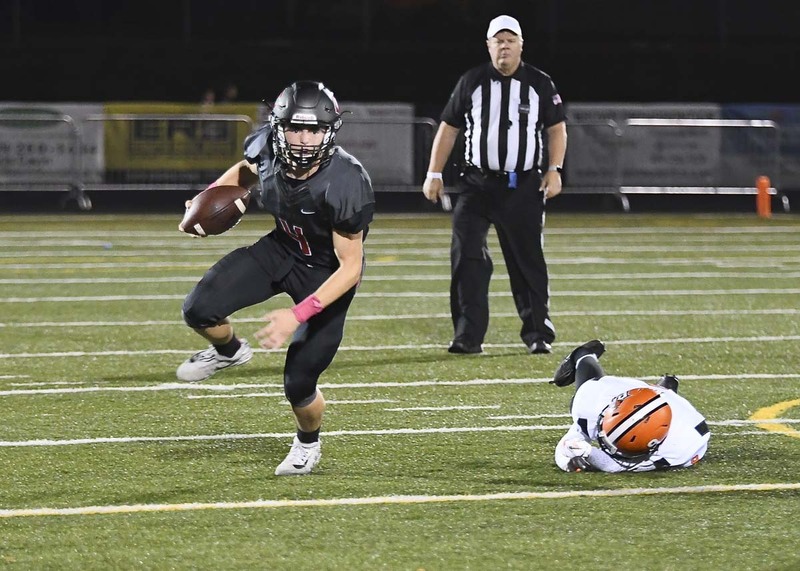 CAMAS — Andrew Boyle has learned a lot about himself this season with the Camas football program. He always believed he could play quarterback at this level. Now he knows. He always believed it would be special to be an every down player for the Papermakers. Now he knows. And he always believed he could help lead a team, even in tough times. Now he knows. on Friday night with the league title on the line. Camas will have to do it without Boyle on the field, though. 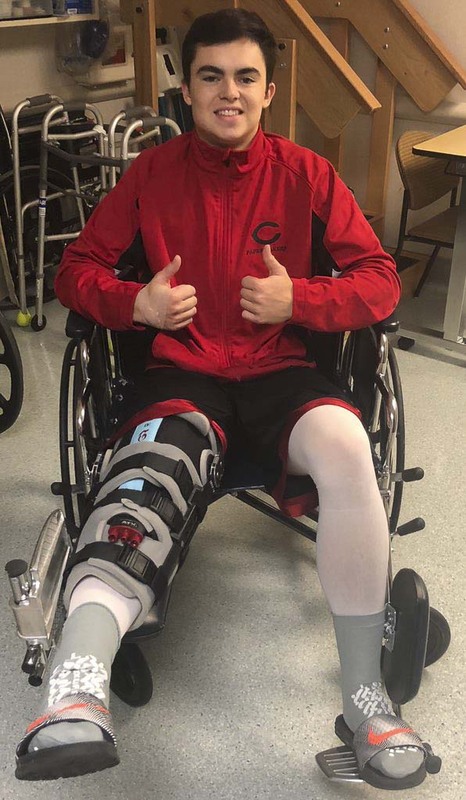 Boyle’s personal goal this day, and for the foreseeable future, is all about getting stronger, rehabilitating after a devastating knee injury. His high school football career is finished, as a player at least. Last week, Boyle was in the middle of another incredible performance, accounting for four touchdowns before he tore a ligament in his knee late in the second quarter. He had surgery Thursday. Naturally, he has been down since hearing the official diagnosis this week. But he also wanted to show his gratitude. He got to play quarterback for this decade’s premier football program in Southwest Washington. He got to play that position at Doc Harris Stadium. Boyle has been playing varsity football. This was his first shot at quarterback, though. As a kicker, he has been money, all-league. This year, he also played safety for the defense. “I worked pretty hard this offseason,” Boyle said, knowing he would be asked to do so much more. He was in the best physical shape of his life, then he dominated on the field. In one game earlier this season, he threw three touchdowns passes, rushed for another, made three field goals and kicked eight extra points. Last week against Skyview, he added another scoring dimension, returning an interception 60 yards for a touchdown. That was after he threw two touchdown passes and rushed for another in the first half of a game Camas eventually won 48-35. The Papermakers improved to 5-3, but more importantly, 3-0 in the 4A GSHL, setting up a winner-take-league matchup with Union. 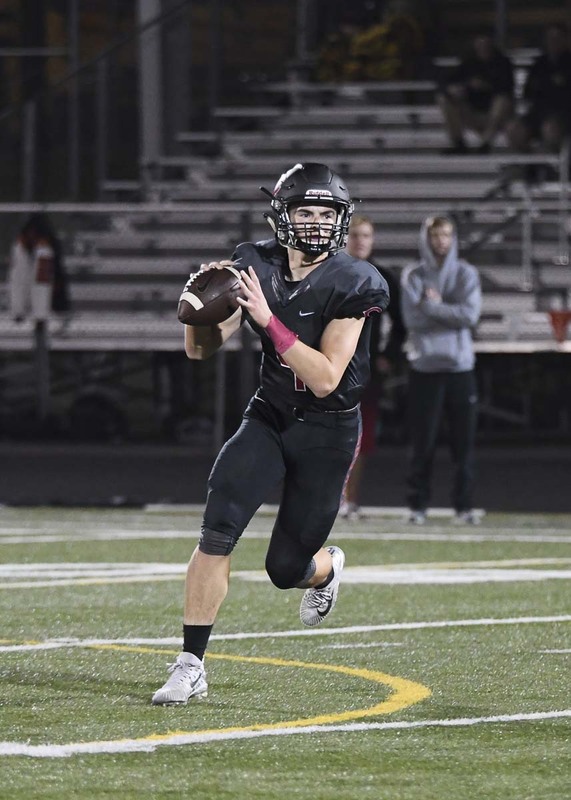 Jake Blair, who also has shined at quarterback this season, sharing some of the responsibilities with Boyle, is expected to start for the Papermakers. Boyle just wishes he could be there in uniform for this game, for the playoffs starting next week. Instead, his season came to an abrupt halt. He had just planted his leg into the turf when he got hit his knee. As an athlete, as a leader, his first instinct was to get to his feet. “I tried to get up and walk it off. I took one step, and my knee gave out and I was back down,” he explained. In the locker at halftime, he kind of knew it was over. Still, he put a whole lot into those eight games he played as a senior. Offense. Defense. Special teams. That is not unprecedented in high school football, of course, but it is rare these days, especially at a big school, for a quarterback to be the safety and kicker. “A lot of preparation, going to offensive and defensive film. Never really getting a break (in practice). It’s a lot of hard work, but it’s all worth it,” Boyle said. Boyle built up his body, too, through weight training. It was noticeable. Eagle said Boyle’s commitment is an example to younger players in the program. Dedicate oneself to the weight room, get rewarded. “We didn’t anticipate him playing safety,” Eagle said. Boyle was just too impressive, though. Boyle got a special moment with his pick-six last week. He said it meant a lot to him, to make such a big play on defense. With the injury, though, Camas is now down three positions in one player. It is a tough time for the team and for Boyle. Eagle, though, knows the team will rally together, and he knows Boyle will be just fine. Boyle’s athletic career will continue, as will his academic career. Boyle has a “3.99-something” grade-point average. He received an A-minus his freshman year, the same grade that his older brother and standout kicker Michael Boyle received in the same class. Michael currently kicks for Hawaii. Andrew is talking to MIT as a quarterback. Ivy League schools are in contact, too. He also has talked to Mountain West programs about kicking. Plus he has interest from schools to play soccer. 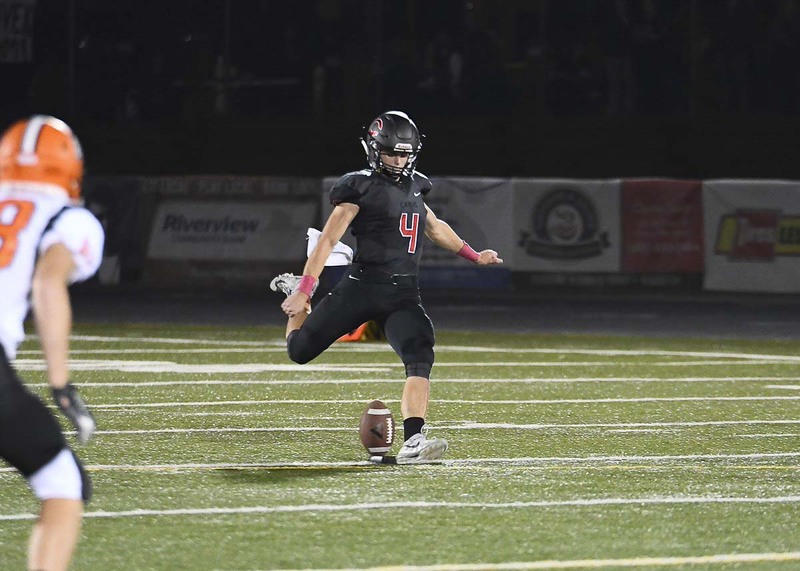 He will remain an integral part of the Camas team throughout the playoff run. Just not in uniform. While his high school playing days ended prematurely, Boyle is still appreciative of his senior season. He became a complete football player, and in the process, a true leader.